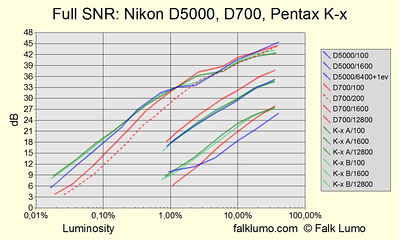 Signal to noise ratio (SNR) for the Nikon D5000, Nikon D700 and Pentax K-x. Full measurement for various luminosities and ISO settings at color temperature 2800°K. 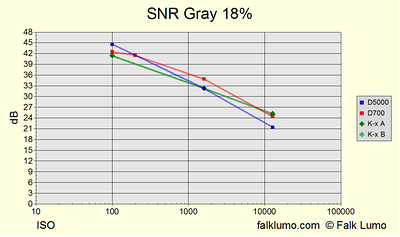 Measurement similiar to dxomark.com. 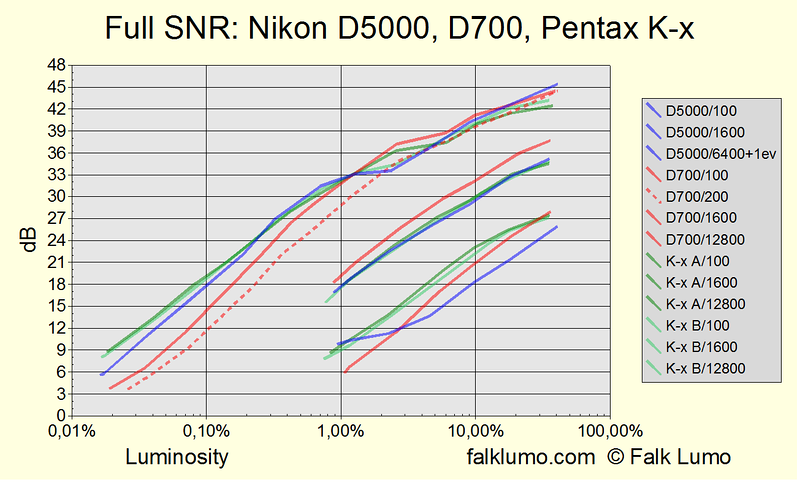 The curves for Nikon D5000 and Pentax K-x at ISO 12800 are believed to be affected by noise reduction applied to sensor raw data. Pentax K-x A and K-x B correspond to two different specimen of the Pentax K-x camera which have been tested.